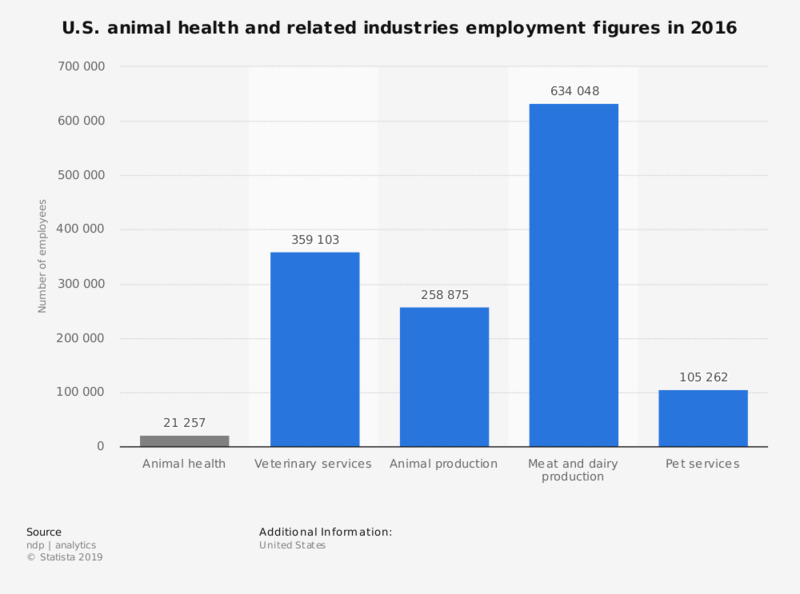 This statistic shows the employment numbers among U.S. animal health and related industries in 2016, by industry. According to the data, the animal production industry, which depends highly on animal health. generated 258,875 jobs in 2016.